As a foodie and fan of food diversity, family traditions and enjoying the best of the world’s cultural cuisine, I love vegetarian food (but a fully vegetarian lifestyle would be challenging for me). If you are like me (and the vast majority of Canadians) and not interested in following a vegetarian diet completely, you may want to consider becoming what I call a “sometimes-atarian.” Read on to find out more. Is vegetarianism on the rise? Although there are no recent statistics on the current number of vegetarians in Canada, in 2003 it was estimated that 4% of adults in Canada were vegetarian*. Food trends in grocery stores and restaurants show that the numbers are likely on the rise. There are many types of vegetarians including lacto-ovo vegetarians (allows dairy and eggs), pescetarian (allows fish) or vegan (allows no animal foods). If being a full vegetarian isn’t for me what could I do instead? If a flexitarian is a vegetarian who occasionally eats meat why not think about being what I have coined a “sometimes-atarian” which I define as a meat eater who occasionally eats vegetarian. A sometimes-atarian is a good fit for me and perhaps for the vast majority of Canadians who are resistant to becoming a vegetarian but could really benefit from the healthy foods included in vegetarian meal planning. What is beneficial about vegetarian meals? Plant based diets are lower in saturated fat and higher in fibre, vitamin C, vitamin A, folic acid, magnesium and phytonutrients that are health protective. 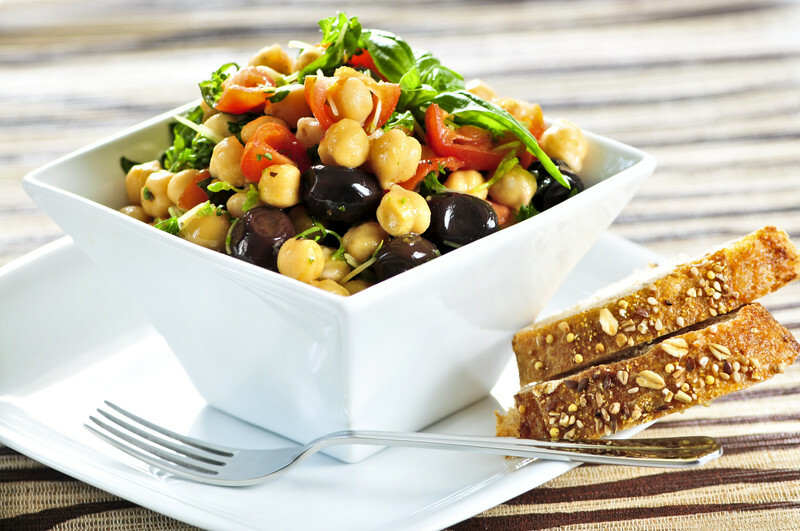 Legumes such as chickpeas, lentils, black beans are the foundation of healthy vegetarian meals. These foods are wonderful sources of fibre, protein, vitamins and minerals which reduce our risk of heart disease and other chronic diseases. Vegetarian meals can also be cost effective and more sustainable and green (considering animal food production creates a higher demand on the environment). How often should I go for a vegetarian meal? You could choose a vegetarian meal as often as you like. If you currently rarely eat vegetarian food start out by picking one meal a week that you make meatless. Often many of our clients go for a “Meatless Monday” approach. What are some meal planning ideas for Meatless Monday? 1. Grains or starchy foods (such as rice, potatoes, pasta, bread, quinoa and other grains), which are essential for your brain and muscles for energy. 3. Source of protein (such as chick peas, lentils, beans, soy-foods, tofu, nuts, seeds, eggs or cheese), which are needed for fullness and muscle repair. 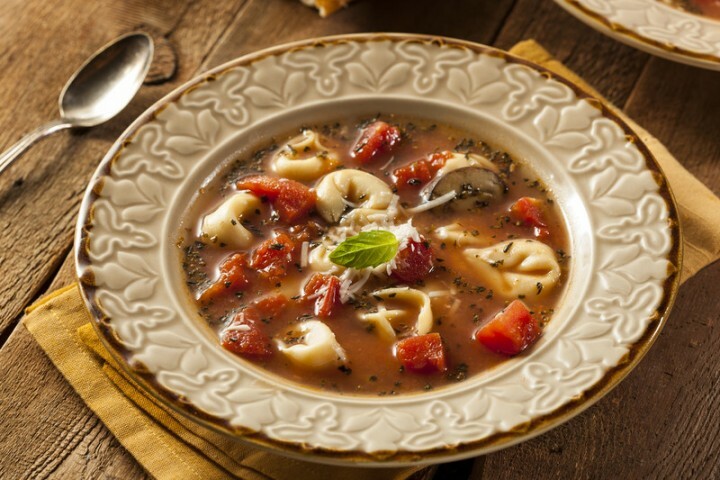 Pasta bean toss: Toss pasta with sautéed onions, mushrooms and green/red peppers along with canned stewed tomatoes and canned drained mixed beans. Sensational salad: Tossed green salad with grated carrots, cucumbers, canned chick-peas, feta/goat cheese and your favorite vinaigrette. Serve with garlic toast on whole grain bread. Black bean quesadilla: Layer half a wrap with canned drained black beans, frozen corn, diced red pepper, green onions and grated cheddar cheese. Fold over the wrap and pan fry or bake until browned and melted. Served with salsa and guacamole. Slow cooker cowboy beans. There are a million great recipes on google. Find one that works for you. The general ingredients include dried pinto beans, onion, garic, canned stewed tomatoes as a start. Serve cowboy beans over rice or a baked potato with a tossed green salad or coleslaw. Bean salad: Canned beans/chick peas/lentils with cherry tomatoes, red pepper, green onion, corn kernels and a vinaigrette. Serve in a pita bread or as a salsa with tortilla chips. Mexican wrap: Spread canned cold/heated refried beans on a wrap along with sliced avocado, grated cheddar/feta cheese, salsa and cilantro. Roll and enjoy! Red lentil, peanut and sweet potato soup by www.lentils.ca. Combine all of the following ingredients except cilantro leaves) in a slow cooker and cover for 6-8 hours on low heat. Leave chunky or puree with a hand held immersion blender. *Dietitians of Canada and the American Dietetic Association position paper on vegetarianism. J Am Diet Assoc. 2003;103:748-765.